Well, must close now. More, later. Love B.J. P.S. 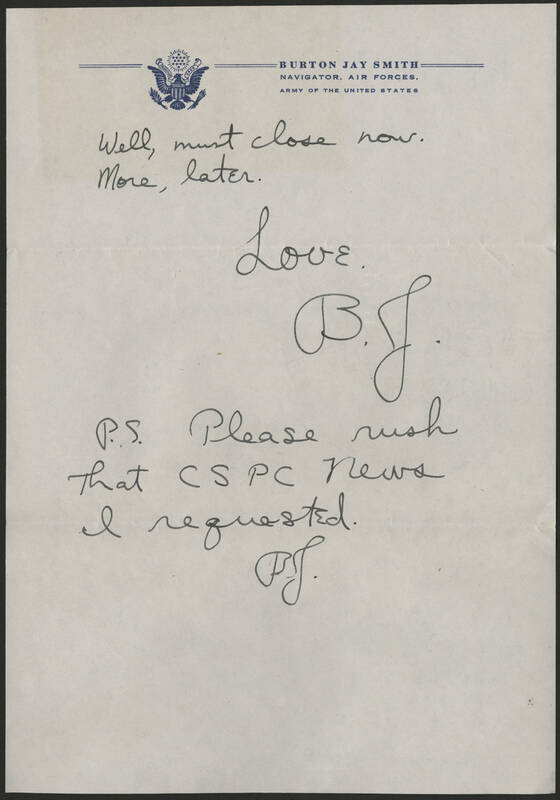 Please rush that CSPC News I requested. BJ.